The river is like magic. 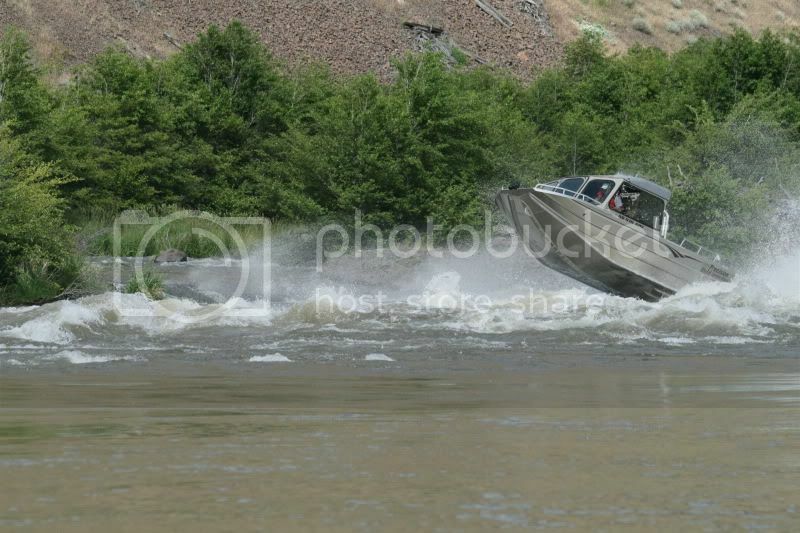 Great running the tight stuff and dodging rocks. 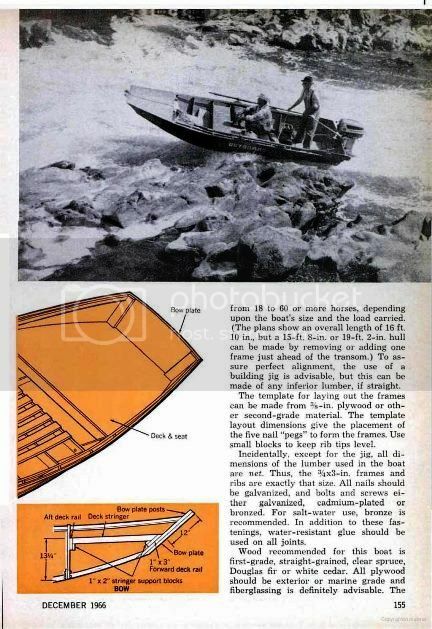 wildhooker wrote: Amazing history lesson and anyone that's shares a passion for jet boats should read. 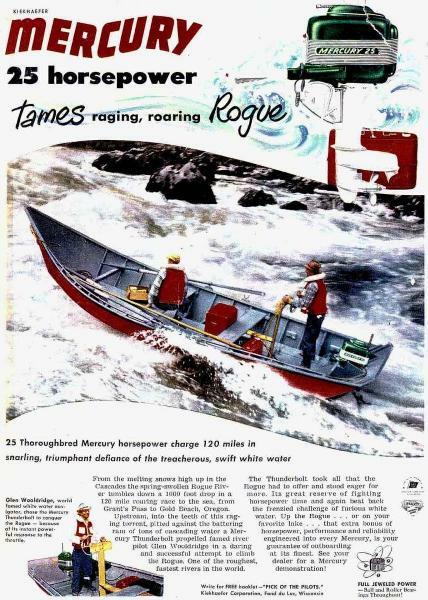 I recently read "Rogue a river to run" and had the pleasure of taking my boat to the river. Amazing trip and after reading the book and being on the river you can just feel the presence of these first pioneers and it's humbling. 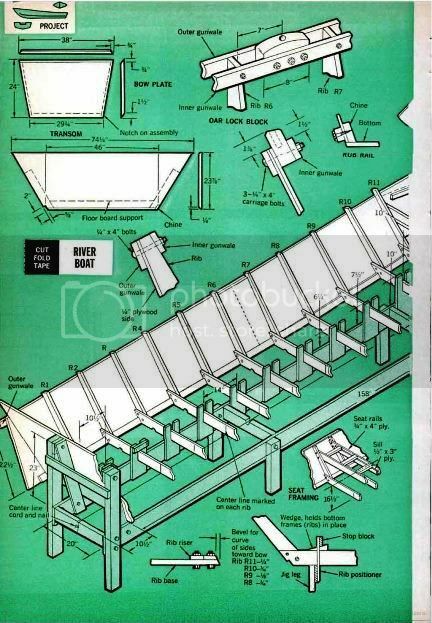 Its amazing to realize what they did with the equipment they had. Great thoughts wildhooker. 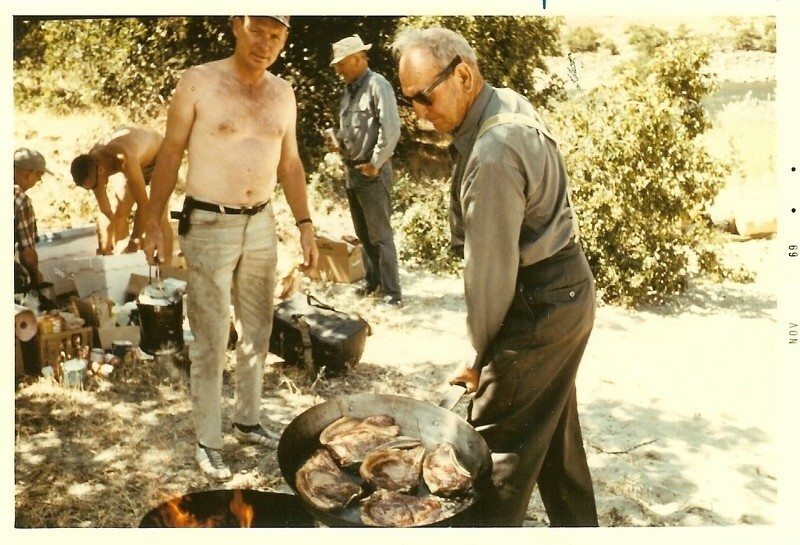 Glen wasn’t only a good boatman, he knew how to cook up a tastymess of vittles for his crew! 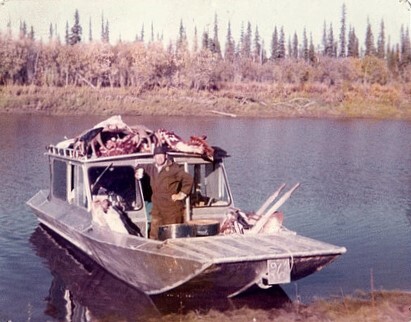 Who wouldn’tlove a river boat trip by day, stakes by the fire by night! That’s real liven for sure! 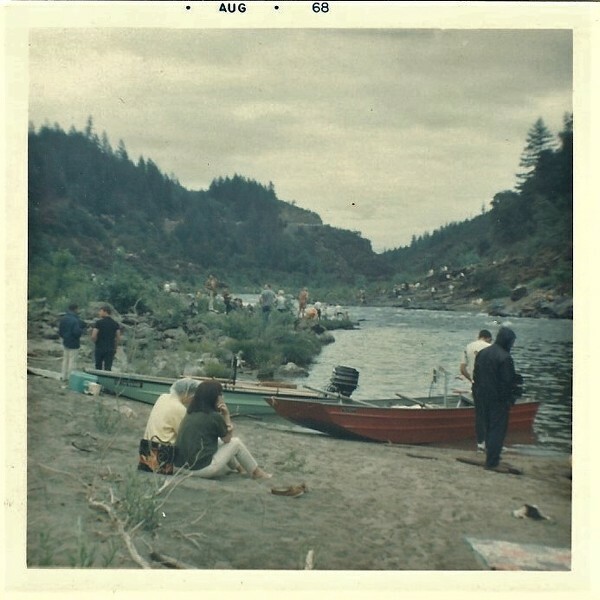 This photo looks to be taken in the summer of 1969. 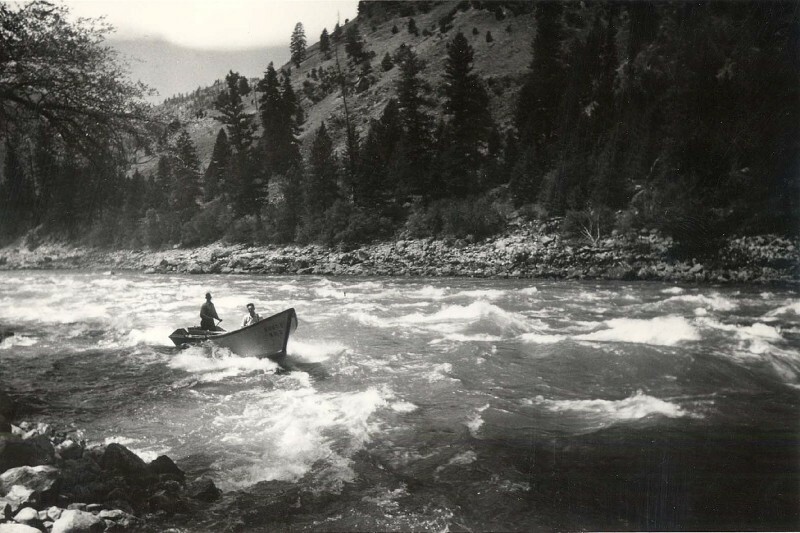 Glen Sr during his historic running of the Salmon River. 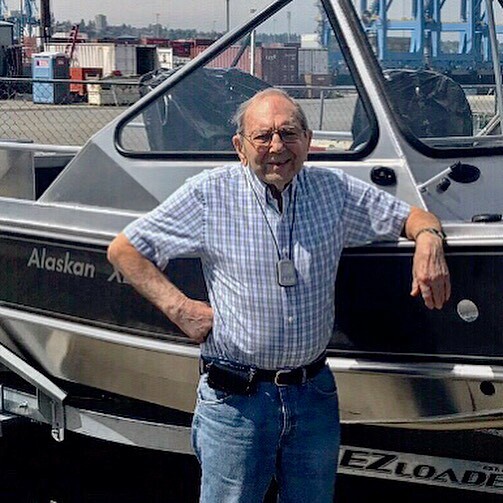 Here at Wooldridge Boats we’ve been putting smiles on peoples faces for over 100 years and counting! Stumbled across this old picture from back in the day. 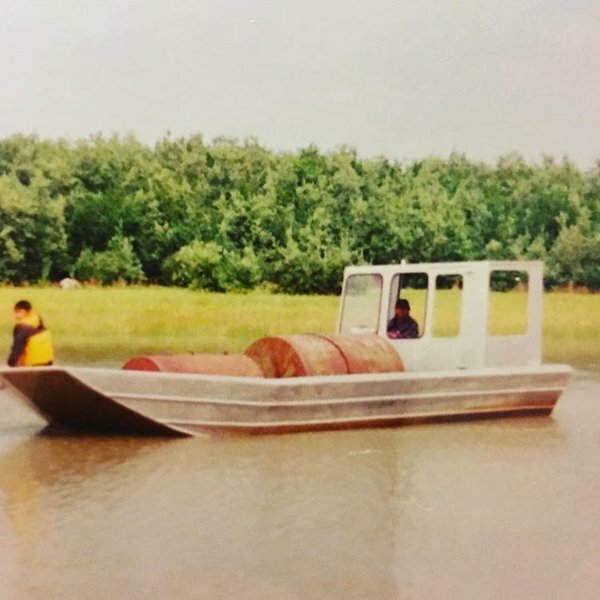 Glen Sr. was always working on something! This picture is a perfect illustration of that. 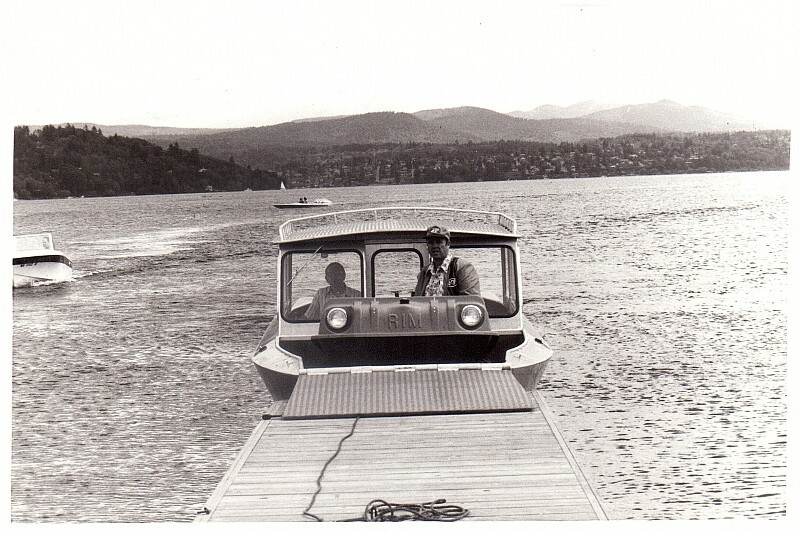 He developed a stick steering mechanism (pictured in the two boats in the background) that enabled the user to turn lock to lock with only a half turn of the helm! A great advantage on a rapid river! Along with light weight aluminum oars also pictured. 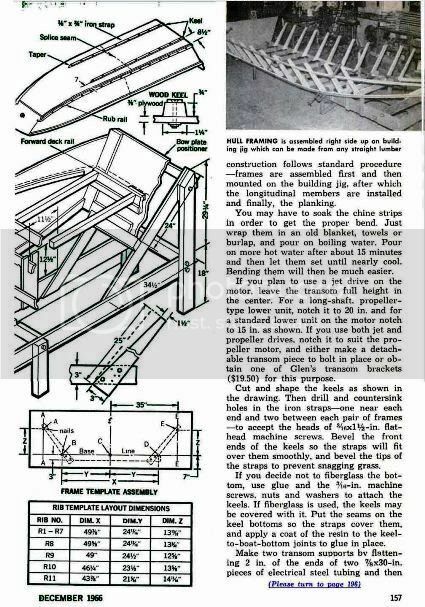 Neat stuff! 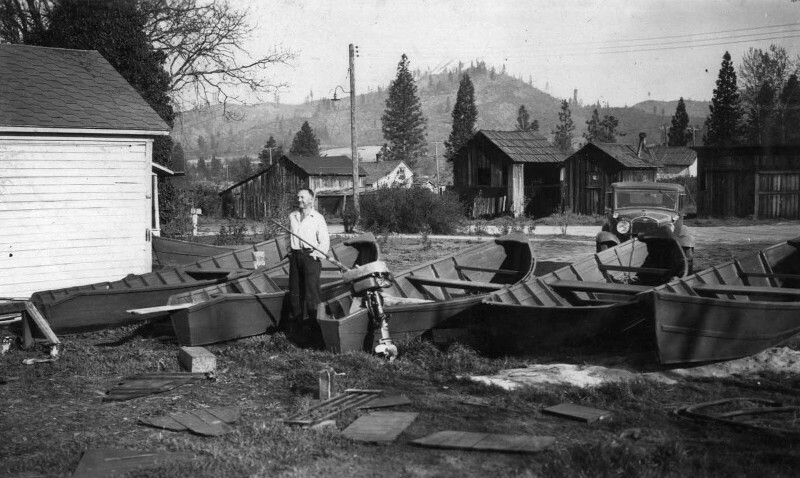 My Grandpa at his shop in Grants Pass Oregon sometime in the 1930’s. 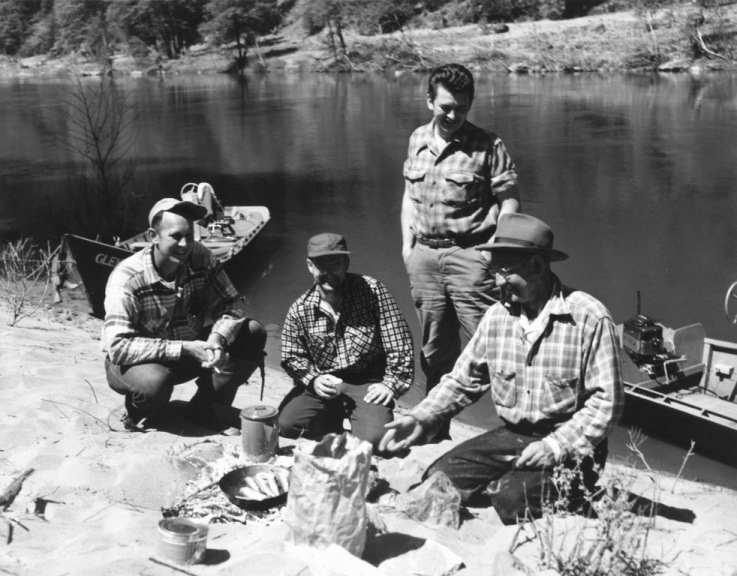 Left to right: Fred Hale, Glen Sr. and Reuben Garcia. 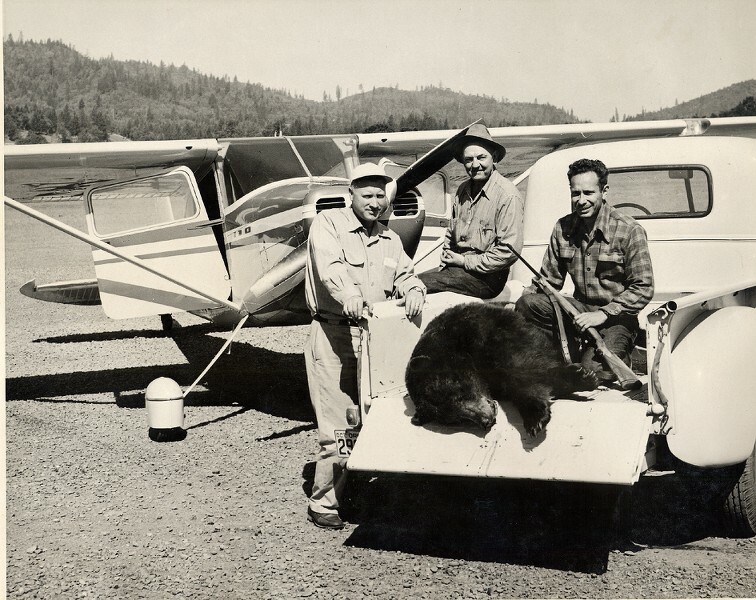 Garcia Bagged this Black bear and Hale flew in to haul Garcia and his bear back to Grants Pass. 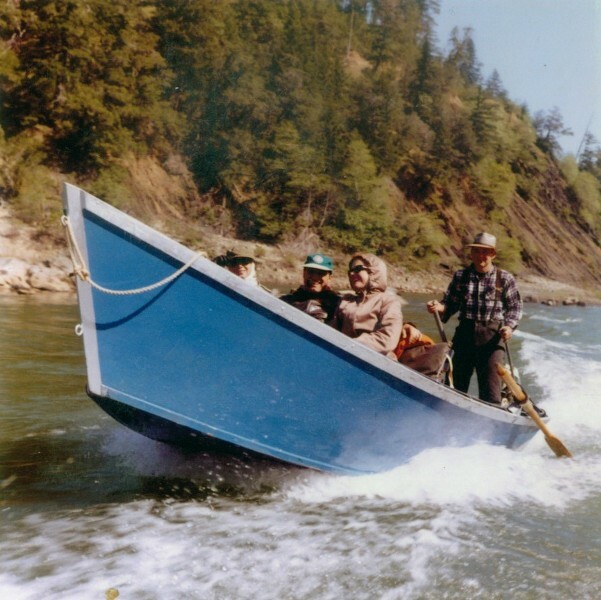 It’s in the book THE ROGUE, A RIVER TO RUN, another great story is recounted of Hale (Owner Operator of Grants Pass Air Service) and Glen Wooldridge Sr. (Local Guide and Boat Builder) about the Christmas Eve storm and record breaking flood of the Rogue River. 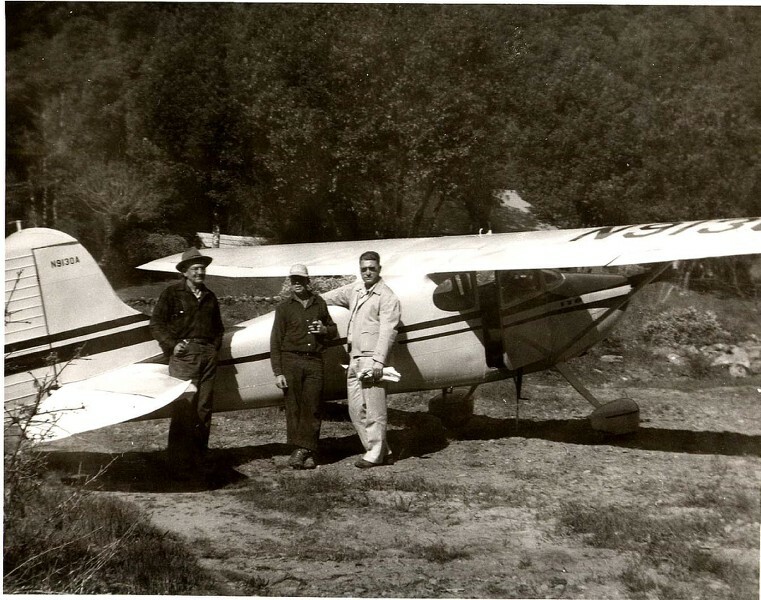 Hale’s plane crash landed into a tree covered hillside in bad weather. 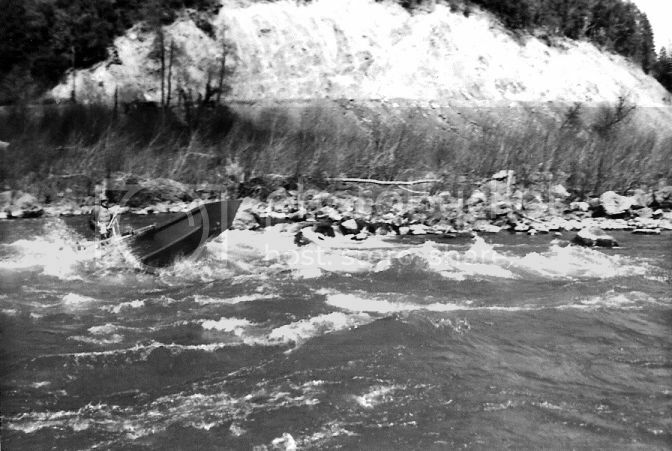 Glen ran his boat down the Rogue on Christmas day at flood stage to perform a daring rescue of his stranded friend. Sound like a Fiction thriller? Nope, just a chapter out of THE ROGUE, A RIVER TO RUN, Where this and many adventures like this are there for the reading. 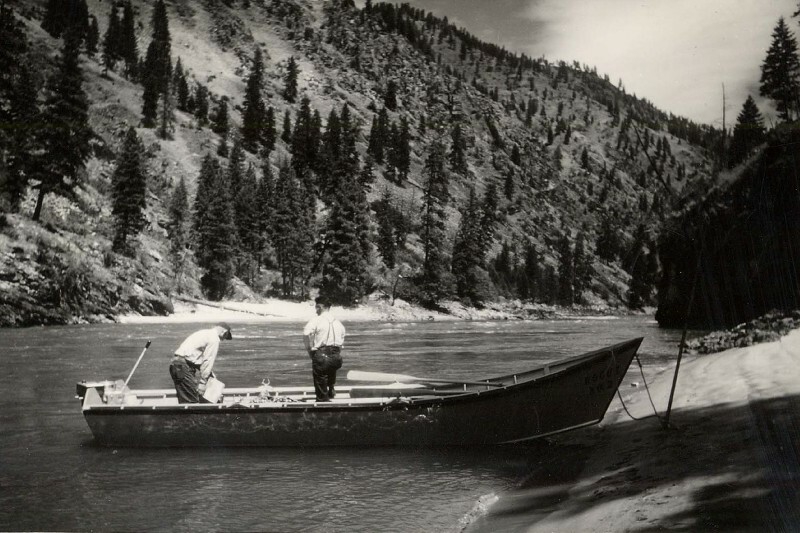 In 1948 a year after doing the unthinkable and taming the mighty Rogue, Glen and his friend Ruell Hawkins turned their sights to another unthinkable the Salmon River of Idaho. Once again he was successful! Chow on the bank of the Rogue! What's not to love! 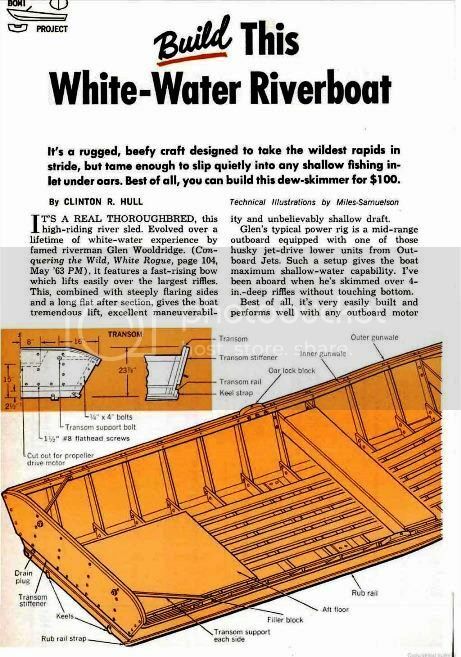 glen wooldridge wrote: In 1964, Grandpa’s boat design & patterns were featured in Popular Mechanics Magazine. I still have this actual PM book ! That's a win. Nice ride with history. Is that glen jr. in the pic's ? That's very very cool, what a neat find! Thanks for sharing that! 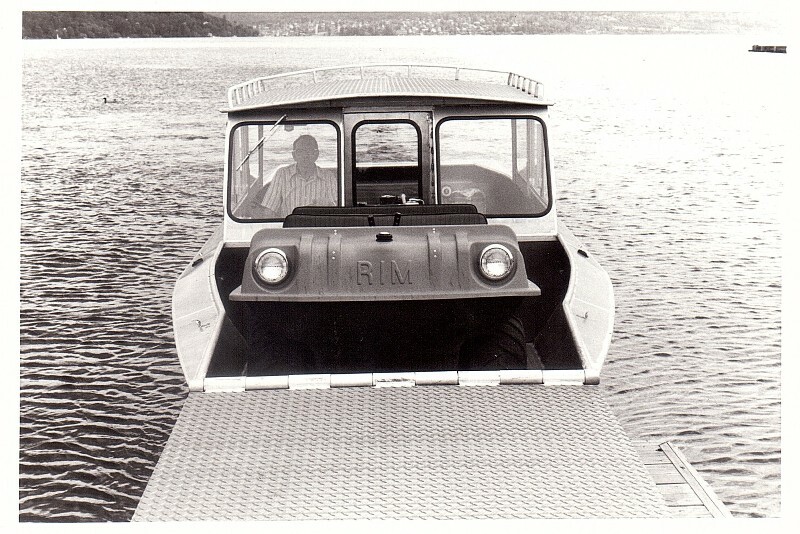 Bob Wooldridge at the helm of this neat landing craft we built and sold up to Galena back in the 1970’s . 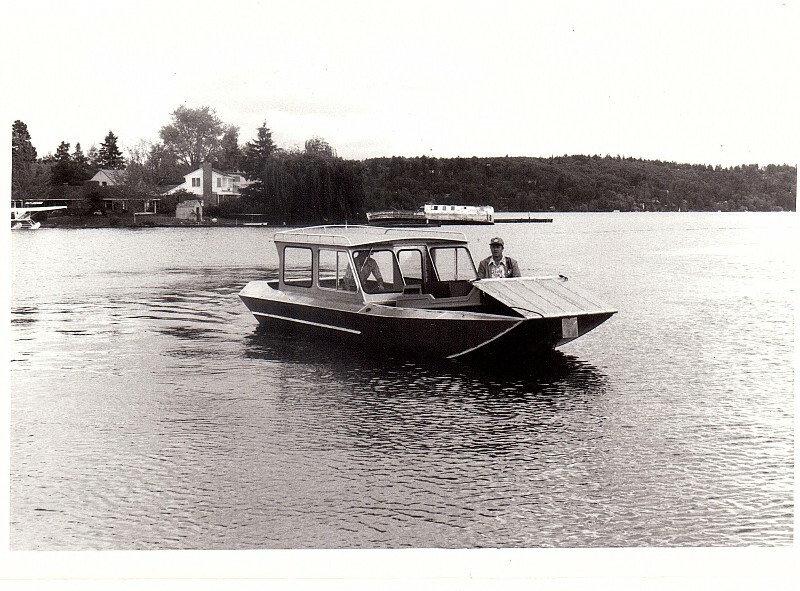 Powered by a 460ci V8 this 24’ sled was a real workhorse. 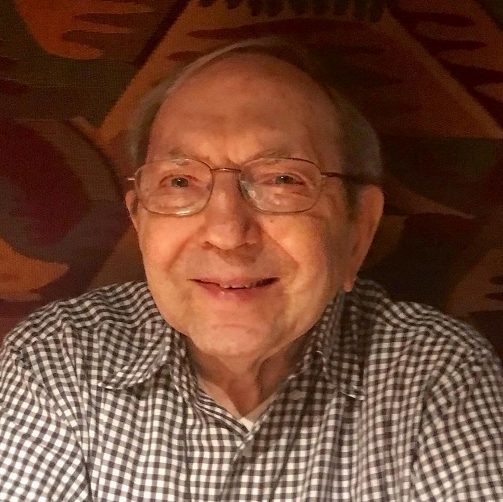 Yesterday was Bob Wooldridge's 94th Birthday! 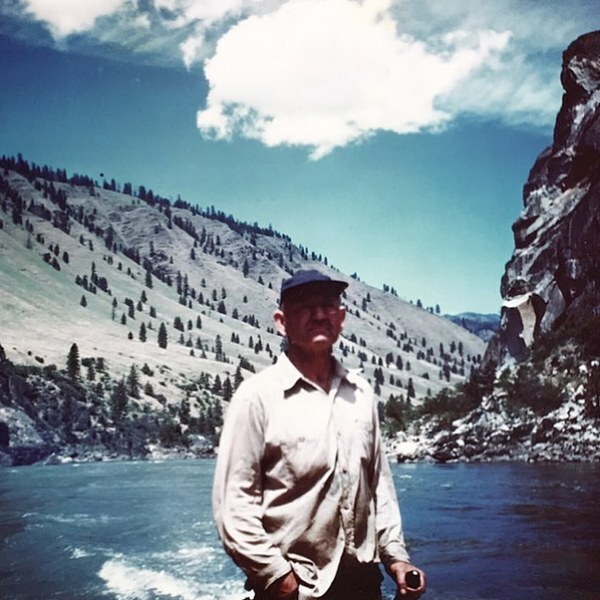 Bob has always been a huge part of the business here, and is still going strong today. He's known to make his way around the factory looking things over, checking in with the shop workers and telling jokes as he goes along. Have a Blessed Year ahead Bob! Looking great Bob. 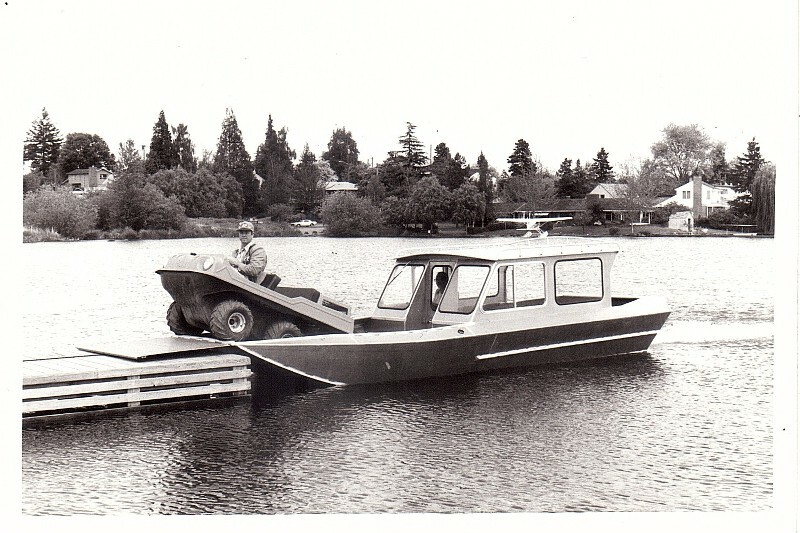 You see Jetboating is good for the soul.